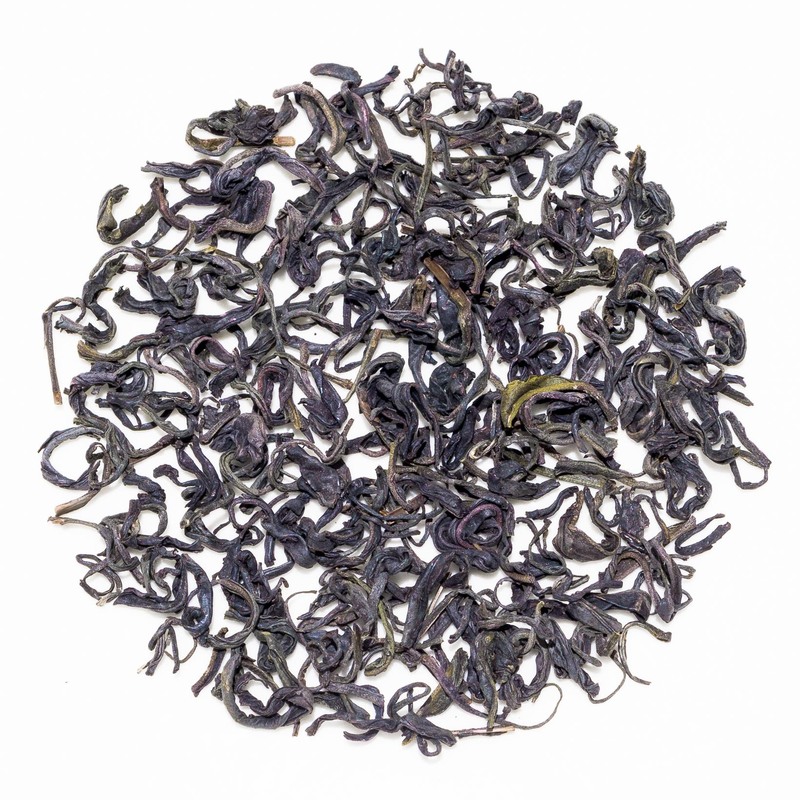 Zi Juan Purple Beauty is a complex ‘Purple Beauty’ varietal green tea from the Jing Mai Mountain area of Yunnan. It produces a vegetal liquor that is floral, nutty and creamy. Sweet and tangy notes are balanced by a hint of metallic astringency on the aftertaste. Zi Juan Purple Beauty green tea (紫娟绿茶) is a green purple tea from Yunnan Province in China, but unlike the wild and naturally occurring purple leaf varietals of Yunnan, this has been developed by the Yunnan Tea Research Station in Xishuangbanna in the late 1990’s. 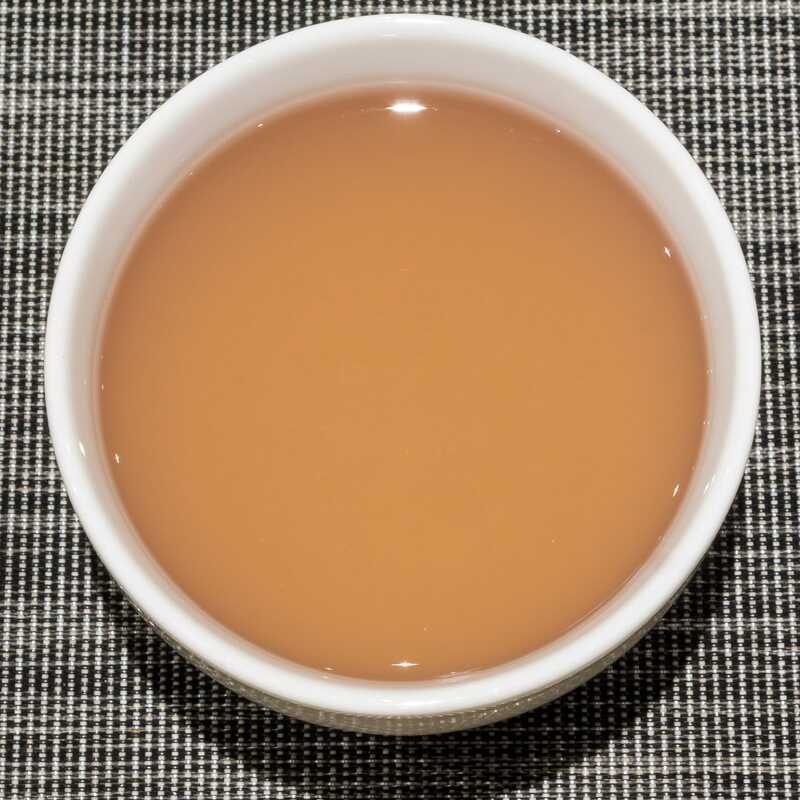 This tea is grown in the Jing Mai mountain area located in Lancang Lahu Autonomous County of Yunnan Province and this particular crop is from the April 2017 harvest. 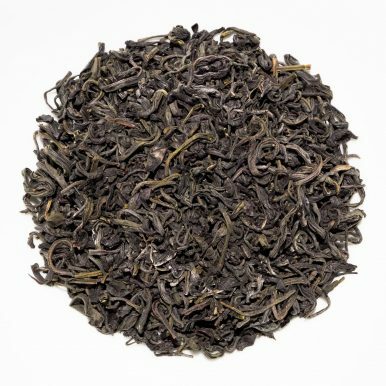 This tea is a green version of our Dian Hong Zi Juan Purple Beauty black tea. ‘Zi Juan’ (紫娟) is still a rather uncommon varietal in Yunnan. Unlike the other wild purple leaf varietals there, which grow either wild or semi-wild, this cultivar was developed for plantation growing. In such case the bushes are trimmed shrubs rather than full sized trees, making the picking much easier. Unlike the other purple leaf varietals of Yunnan, where the colour of the leaves on wild growing trees is changeable depending on the environmental conditions, and any one tree will only have a limited amount of purple buds, these Zi Juan Purple Beauty cultivar plants are specifically selected for the amount of purple leaves they produce. And unlike the wild counterparts that tend to have only purple buds, this cultivar produces purple buds, leaves and stalks, giving a higher yield. 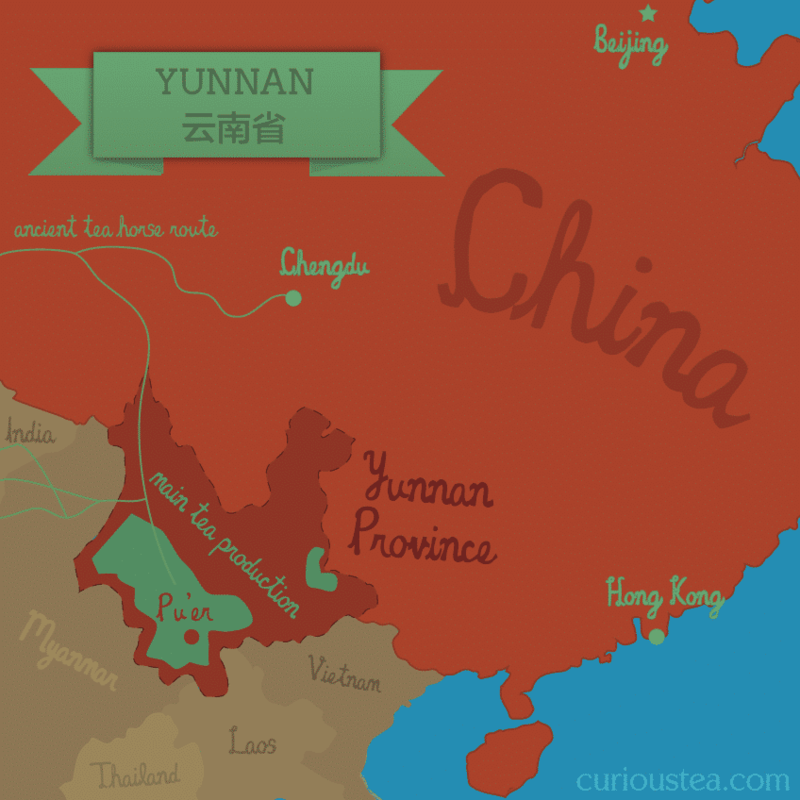 The origin of this cultivar lies in a combination of trees from two famous tea areas of China: Wu Yi Shan and Yunnan. Both have naturally occurring purple bud varietals. The ones in Wu Yi Shan have been known for a particularly high anthocyanin level, resulting in the purple colour of the leaves but also lending the tea a bitter flavour. 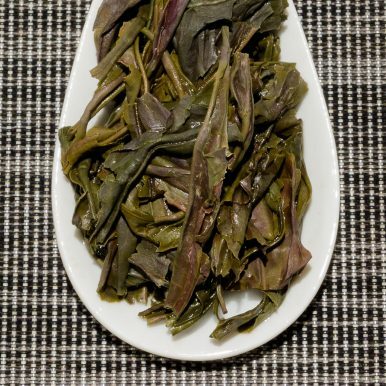 With time, the Wu Yi Shan purple bud cultivar was altered by the tea growers through selection to produce a better yield and a more hardy plant. 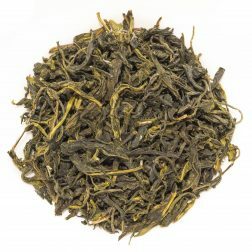 This also resulted in diminished bitterness and that varietal is utilised to make some exceptional Wu Yi Shan oolong teas. 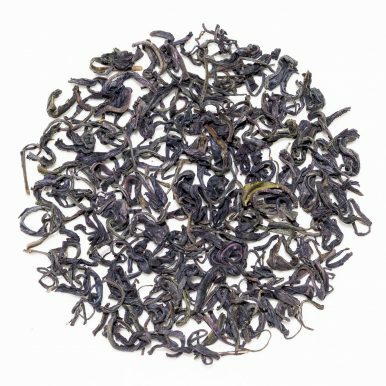 The Zi Juan Purple Beauty cultivar is a hybrid of the specially selected Wu Yi Shan purple leaf cultivar and the local Camellia sinensis var. assamica. This Zi Juan Purple Beauty has dark green twisted leaves with a vegetal aroma. The liquor has a lightly green colour with a purple tint. The profile is vegetal with satisfying floral, nutty and creamy notes and a sweet yet tangy aftertaste. There is a touch of metallic astringency on the aftertaste that balances well with the overall flavours. 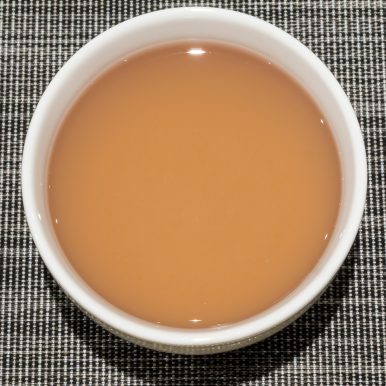 This tea is best brewed with at 80c for 2-3 minutes and can be brewed multiple times. 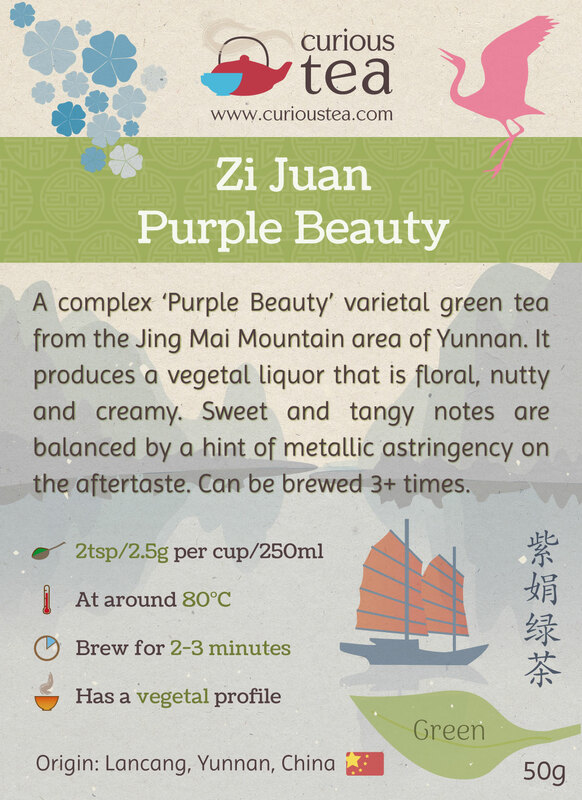 Zi Juan Purple Beauty green tea was first featured in our January 2018 Curious Tea Subscription Boxes. 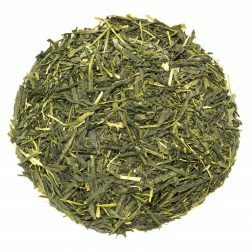 A traditional green tea grown in the lush highlands of southern Japan. 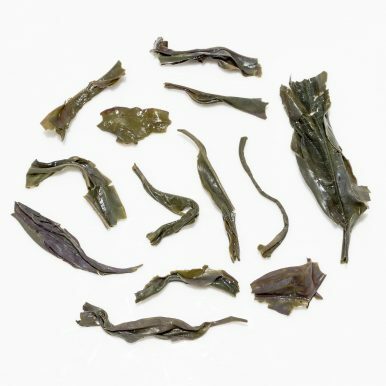 It is a grassy and savoury tasting sencha with buttery and green vegetal flavours. 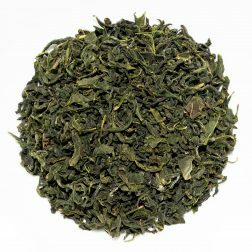 Highly unusual and distinctive; a refreshing, pleasantly grassy, sweet and creamy tea with notes of vanilla and toasted corn.